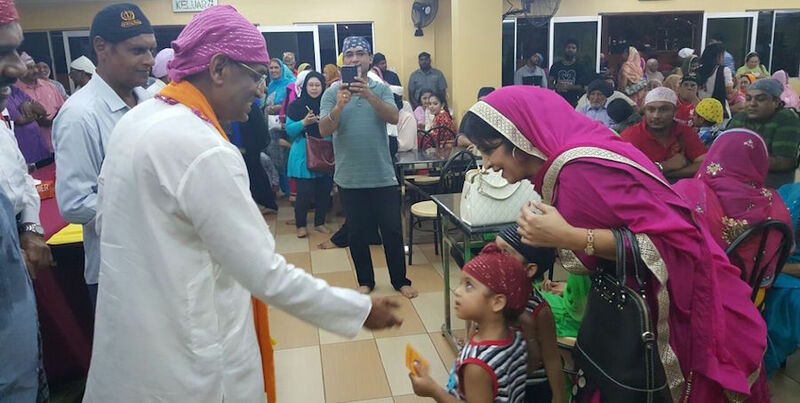 Malaysian Health Minister Dr Subramaniam passing an ‘any pow’ packet to a child at a Vaiskahi celebration at Gurdwara Sahib Puchong on 13 April 2016. On his left is Awtar Singh. Malaysia’s Health Minister Dr S Subramaniam pledged an allocation of RM30,000 to the resurfacing of the extended car park of the Gurdwara Sahib Puchong. The minister made the pledge when he visited the gurdwara, located about 30km from the Petronas Twin Towers in Kuala Lumpur, for its Vaisakhi celebration on Wednesday (13 April). 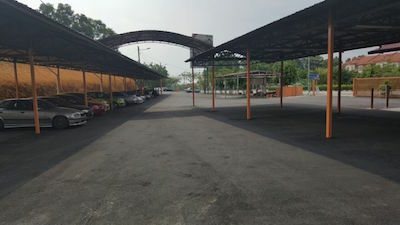 “We had recently tarred our whole carpark with a cost of RM85,000. We will be paying in installment,” said Puchong gurdwara management committee (GMC) president Awtar Singh.